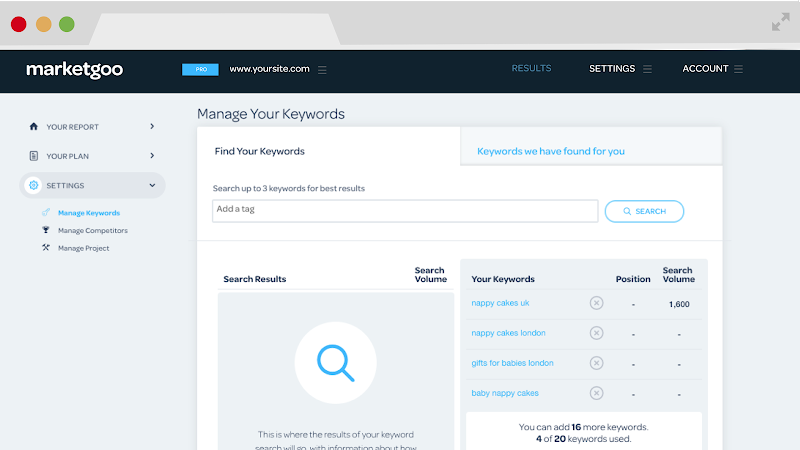 MarketGoo is an easy-to-use DIY SEO tool created for small businesses. 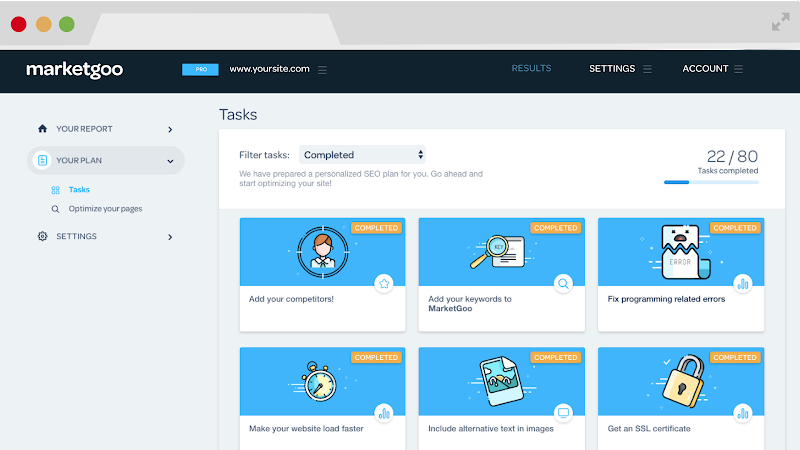 MarketGoo automatically scans a website and generates a step-by-step SEO plan to help businesses increase their website traffic and rankings. Help your clients understand the SEO actions they must carry out to generate more business—without the need for technical expertise or a dedicated marketing staff! 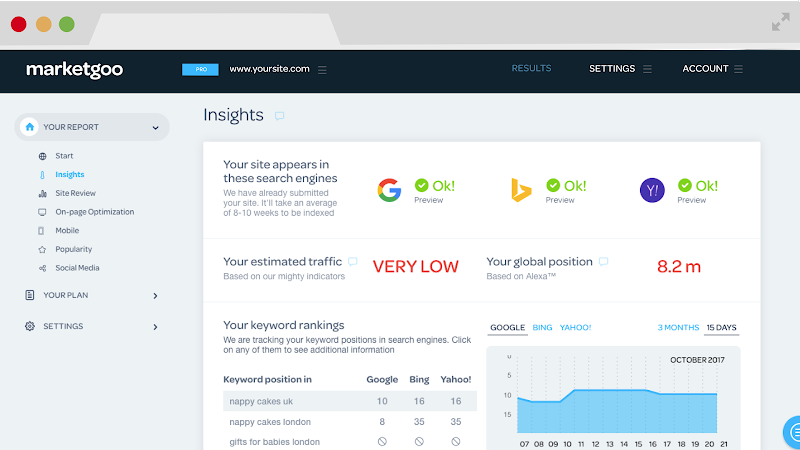 Run a free SEO website report on a business you'd like to prospect! 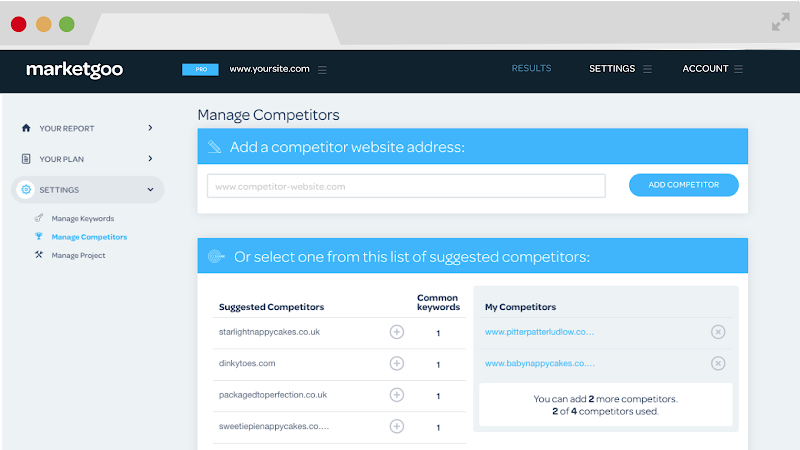 Hundreds of thousands of businesses are currently using and experiencing success with Marketgoo!